This car is part of the original Mint Car Series from 1979-86. 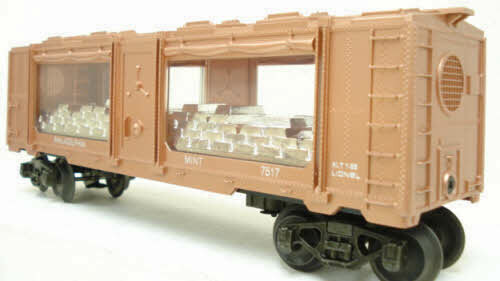 This mint car features die-cast metal sprung trucks, die-cast metal operating knuckle couplers, and metal wheels and axles. This item has been graded per TCA standards C-8: Like New. Overall condition is Like New. The Trainz SKU for this item is 4246460.